We’ve just finished mixing a new track for Leamington based band Firedaze. This track is following on from their 2014 album, “Never After Land” which was also recorded at Dmusic/dVoicebox. Firedaze singer Steff has a massive passion for ice hockey and is a regular supporter of the Coventry Blaze Ice Hockey team. She recently decided to write and record a song that could be used by supporters of the team to cheer the team on. “Another One Like That” is a song that started life as another song by the band with a similar title – “Another One Like This”. In fact the original song is still in the Firedaze live set – but Steff felt the reggae style laid-back folky vibe of the original was not right for a song to cheer the ice hockey team on. She knew the song needed to be more up tempo and rocky with an easy to pick up and sing along hook line. The band took the lyrics of the original song but set the words in a much more rocky setting. Firedaze normally use samples, foot percussion and drum loops when performing live but for this song it was decided that the sound needed to be the much more straightforward sound of a band with a live drummer. 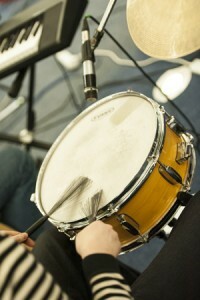 Once the song structure was fixed the band recorded a guide track that could be used to track the drums. The choice of drummer was a former Firedaze and Rack and Ruin sticksman Duncan Arrow. I recorded the drum track in Dunk’s home studio using his Roland V drums recorded into Logic and then imported the drum audio files into the song project back in the dVoicebox studio. 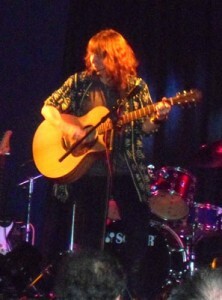 Bass, guitar and fiddle were then re-recorded to replace the guide versions. I usually record fiddle player Jen’s violin in another room here at the studio to get the natural sound of the instrument. However for this song we decided to DI using just the feed from the AT Pro-35 fiddle-mounted mic she uses live. 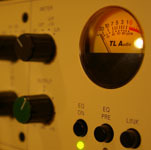 The bass was also recorded on a DI via the TLA5051 channel strip to take advantage of the unit’s warm valve drive and slight compression. Steff had recorded the original main vocal part during a rehearsal session wearing the AKG headset mic she uses live. While this mic works fine for live performance it sounds very nasal and slightly fuzzy when recorded. 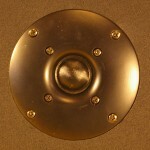 The final (and much clearer) version was recorded using an AT4033. I generally use this mic or sometimes a Rode NT1 for Steff in preference to the studio Neumann U87 as they just seem to suit her voice best. We had several reference tracks we were using for the general attitude and vibe of the track in particular some songs from the Drop Kick Murphys and Chumbwumba. One key element was the sound of a live crowd sound signing along – to achieve this kind of feeling we recorded all the band members and then got anyone male who came in during the recording session to record several passes of the main hook line. I then layered up these many voices and used some panning and reverb to spread them across the stereo picture. Steff was pleased with the result. Her dream now is to hear the crowd at the Skydome singing this song every time the team stick the puck in the net. 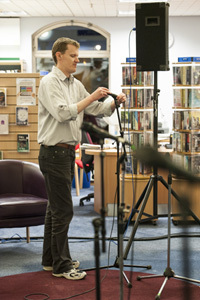 dVoiceBox recently recorded live poetry and music event Love in Leamington 2014 in the main Library in Leamington Spa. 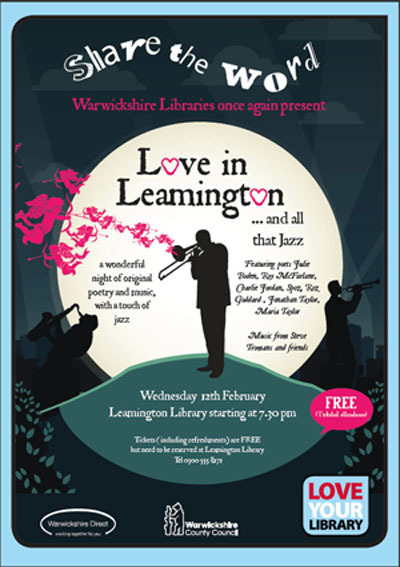 This was the second such event as Love in Leamington had happened for the first time back in February 2013. 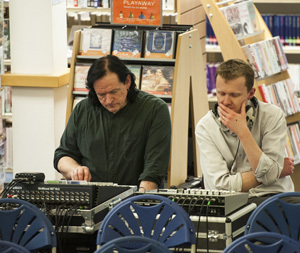 On that occasion it was a grant funded project run in conjunction with Warwickshire Libraries that saw a number of composers and musicians composing and performing musical pieces that were produced as a response to poems by Julie Boden. 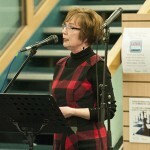 Julie is the Poet in Residence at Symphony Hall, Birmingham and at that point had lived in Leamington for 10 years. The musicians were responding to poems written during that time. 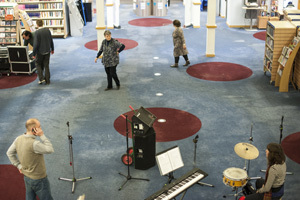 In 2013 I was invited to record the event which took place in a space in the middle of Leamington Library: the bookcases were wheeled out of the way to give an intimate auditorium. 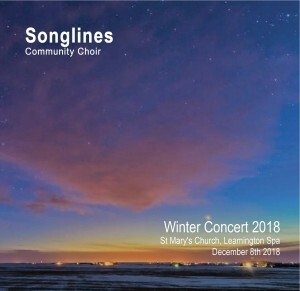 Initially I was asked for an archive recording for the Library Service but then this eventually changed to producing a CD that was made available to the public in February 2014. I also provided a PA and FOH mix on the night. I was subsequently booked to record the Love in Leamington 2014 event. Because of the proximity to St Valentine’s Day the theme was again love. It was again set in the Library and grant funded from variety of sources but this time the conceit was slightly different. Instead of many musical ensembles this time it was the same group of musicians all night but they were responding to the compositions of 7 contemporary poets not just 1. Once again I was asked to provide the PA and mix the FOH sound on the night as well as record the whole thing for broadcast on internet radio station Radio Wildfire. In planning the recording I knew from previous experience that I would need an assistant. In 2013 Steff from Firedaze helped me and was kept busy with sorting out a multitude of radio clip mics while I tried to keep on top of the live mix and the multi track recording. This time there were fewer mics, no clip or lavalier mics and fewer performers – but the time for setting up and breaking down was limited so I knew I’d still need another pair of hands. Steff was not available so long time musical colleague Dunk Arrow stepped in to help out. In the end he oversaw the actual recording side of things leaving me free to concentrate on the mix on the PA. Although there were a total of 7 poets there was only one occasion on the night when 2 performed together. So for the FOH mix and recording I needed a mic for the MC, 2 mics for poets and a mic for a singer: a total of 4. The musicians on the night comprised a jazz trio: piano, percussion, and vocals. As I said for the singer, Alison Simmons, I used a Neumann KMS 105. The piano/keyboard of Steve Tromans was plugged into a DI box straight into the PA mix. I also gave Steve a Shure PG81 mic for intros to songs (it was a late request from Steve and so this is not the mic I would have planned to use – it’s really good for instruments but a bit “poppy” for voices – but by the time he asked it was the only one we had left!). 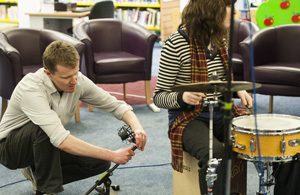 The percussion set up,with Lydia Glanville, was a cojon, snare drum and cymbals. I used a Rode NT1 positioned close behind the sound hole of the cojon, a Shure Unidyne III 545D (similar to an SM57) on the snare and an Audio Technica AT4033 as on overhead. We also provided a couple of foldback monitors primarily for the musicians and singer. For the PA we used the Allen and Heath Mix Wizard 4 console, Studiospares multicore, a Studiomaster 700D power amp and pair of 2 way Celestion speakers with no subs. We’ve had these for a while and I think we will be replacing them later this year however on the night they performed very well. The library is not a huge space and they filled it comfortably for this kind of event where you don’t need rock gig levels of volume. 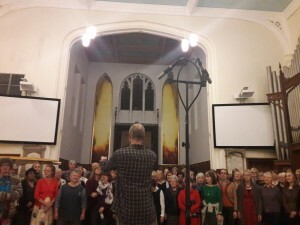 For the recording I was using a Yamaha AWS1600 8 track hard disk recorder – I wanted a multi track recording so that I would have more control when I came to mix after the event and I knew there wouldn’t be time to rig up a computer based system. The mics in the performance space were routed through the multicore to our 16 track Allen and Heath Mix Wizard 4 which I used to mix for the PA.
On balanced lines we took prefade direct signals from the WZ4 to the 8 tracks of the AWS1600. Each of the performer mics went down to separate tracks, as did the digital piano – the percussion I submixed live (on an ART Splitmix 4) down to one mono track. 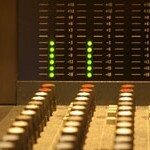 I also took a mono feed of the FOH mix and put that down on one of the tracks on the AWS1600. As a belt and braces strategy I also took a safety recording of the FOH mix on DAT. Unlike the previous year this time once the mics were up and checked they would not move and would be used by all performers. The AKG HT45 radio mic is new to my mic locker and this was the first time I had used it in a live situation. To my ears it sounded a bit toppy – there didn’t seem to be much in the bass end. I used it for MC Dave Reeves – and I had to EQ it a bit to give it a fuller sound. It generally works well – but with one caveat. Watch out if you accidentally switch it “off” – when you come to switch it back “on” there’s a pause while it connects with the receiver followed by a brief but nasty feedback shriek. Thankfully this doesn’t happen when the switch only goes to the “mute” position – on the night we left it “on” all the time muting it on the desk when it wasn’t needed and changed the battery in the interval. I’ve used the Neumann KMS 105 on quite a few occasions with different singers but I think this is the first time for me that its been partnered with a voice that really suits it very well. 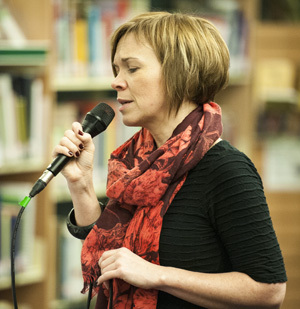 Alison has a great voice for jazz full of a lovely resonant quality and exploring quite a dynamic range. On the night she brought her own mic but chose to stay using mine – and I’m glad she did as I think it demonstrated her voice brilliantly. 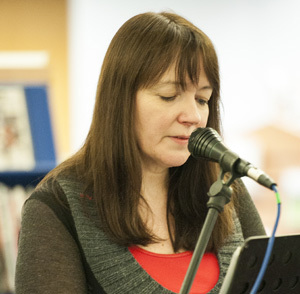 On the radiowildfire site you can hear this on the Julie Boden poem Love’s Masquerade. 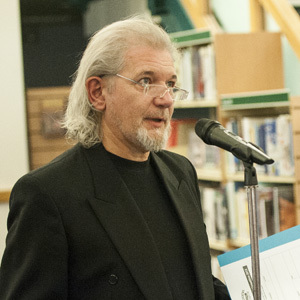 The performances took the form of poems performed with music interspersed by songs, mostly jazz standards, from the three musicians. The first half was about 50 mins and the second just over an hour. We recorded the 2 parts of the evening. After the event the audio files were transferred to the dVoiceBox studio Mac and then mixed in Logic to produce the radiowildfire poem master files. We also mixed the songs but at present due to licensing restrictions they are not generally available. When I came to do the mixing I found I was using mostly the FOH mix with just a bit extra from the individual mic tracks to give them more emphasis and clarity in the mix. 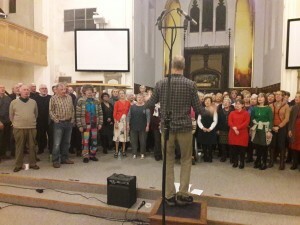 It was a very interesting and enjoyable event to be involved with – the mix of poets and the interaction between their compositions and the music made for a varied and unusual evening. Lets hope there’s another one next year. Added September 2017. 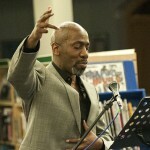 I recently discovered a YouTube video (see below) of one of the performances from this event featuring a poem by Julie Boden. The sound on the video is not from my recordings but you can get an idea of the nature of the event. 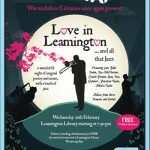 As mentioned elsewhere I was invited to record the Love In Leamington 2013 event which took place in Leamington Library in the week of Valentine’s Day of that year. The event was grant funded from a number of sources and coordinated by the Warwickshire Library Service. It featured a diverse range of musicians and composers responding to poems by Julie Boden and then performing the resultant pieces of music. 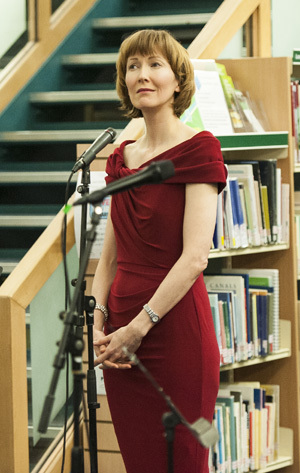 Julie Boden has been the poet in residence at Symphony Hall Birmingham for 10 years and has lived in Leamington for many of those years. The poems were ones written during that time. 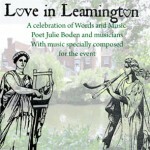 I’ll blog in more detail soon about the technical aspects of recording and providing the PA for the event but for the moment this is to note that a CD that we produced of performances at Love in Leamington 2013 was made available in time for the 2014 Love In Leamington event and copies are available by request from Leamington Library. 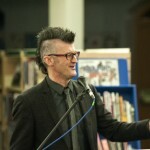 dVoiceBox was invited to record this year’s Love in Leamington event on 12th February 2014 at the library in Leamington Spa – this time it featured 7 contemporary poets and 3 musicians. DvoiceBox has been invited once again to record the Love in Leamington event on the evening of Feb 12th 2014. 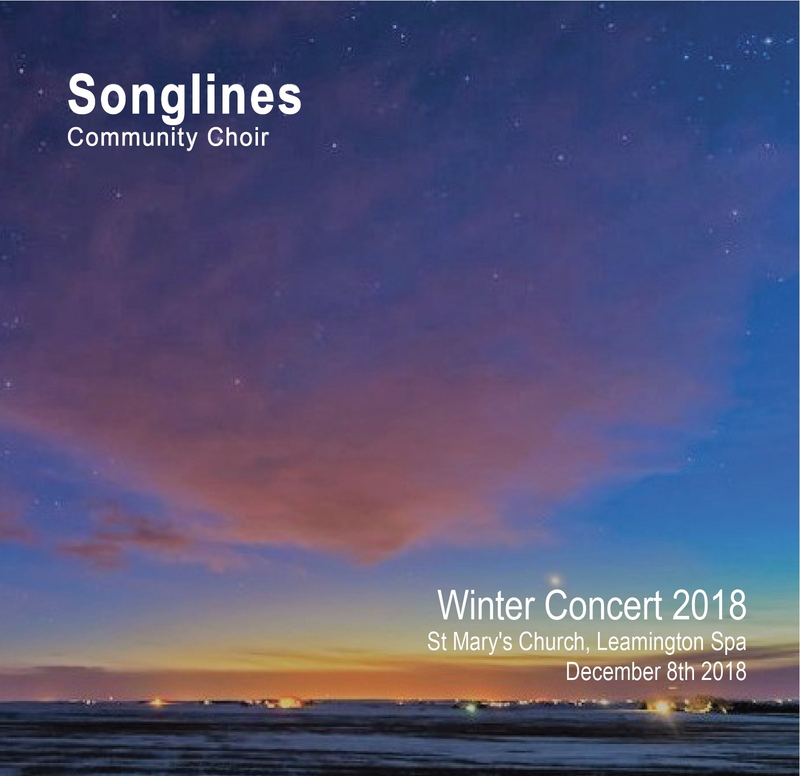 Once again the venue is in among the books in Leamington’s Library and we’ll be providing the PA for the event as well as recording it all for subsequent radio broadcast and podcasts. 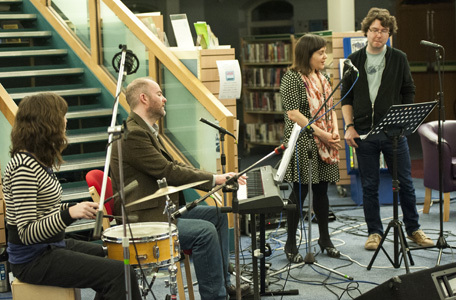 DvoiceBox recorded the first Love in Leamington in 2013. A CD of that event is to be made available by the Warwickshire Library Service. Love in Leamington takes place in a space in the middle of the Leamington Library itself (with the book shelves wheeled to one side). 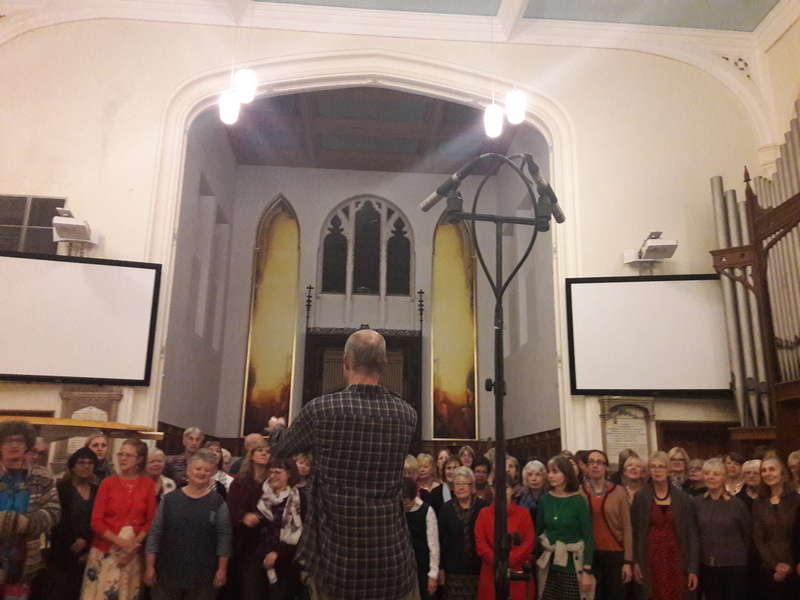 Acoustically its quite a dry space and that helps with recording – although on the night the musicians felt it made their performance feel a bit “flat”. 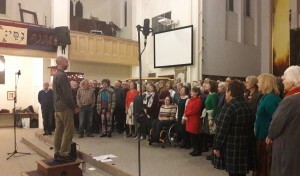 Last year there were a variety of musical ensembles (choirs, bands and solo performers) performing music inspired by Julie Boden‘s poetry. It was quite a challenge to know what mics to use and where to place them – especially as some performers couldn’t decide until the last moment whether they were going to perform on the stairs in the Library or not. 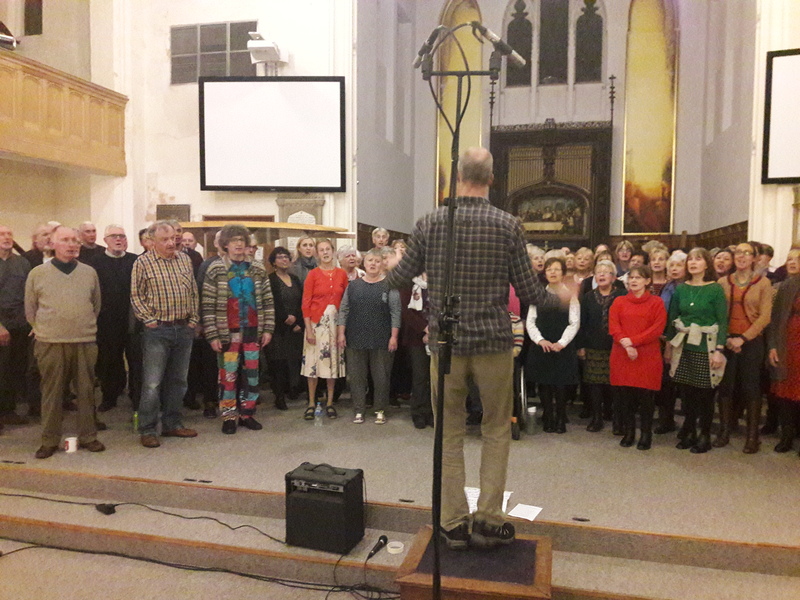 This year the recording and PA is a bit simpler from a technical perspective with just the one band – a trio, an MC and a 7 poets performing. Should be fun – I’m looking forward to it! I am certainly no expert on microphones – but recently I have become more and more fascinated by them. So this post is about mics – and later on I might add some more. 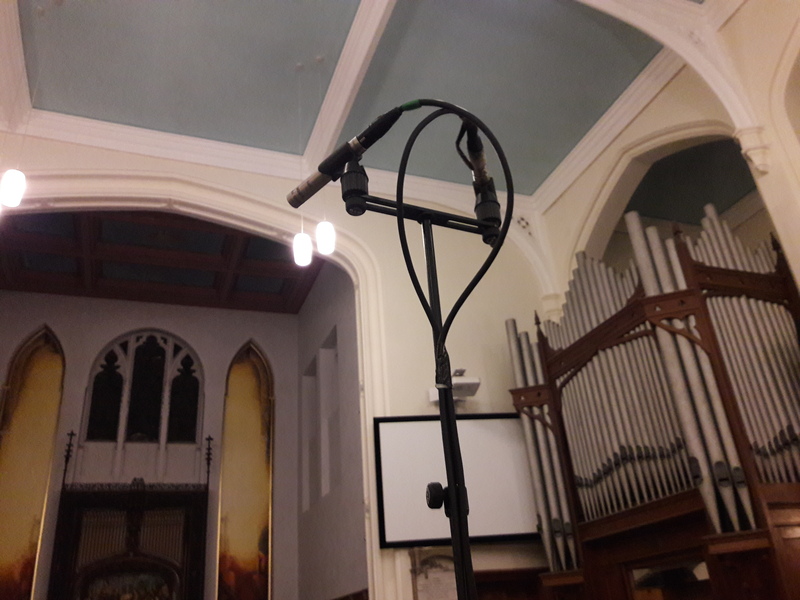 On my voiceover blog I’ve written a few times about my experience of using different mics for spoken word projects – on those occasions I’ve talked about mics I have used or have in my studio. This post is about a mic (actually 2 mics) I don’t have but I think it could be cool to have. Mind you the cost of one of them is even more than (double) the Neumann U87 I’ve blogged about before – so I’ll not be owning one anytime soon. So I was recently watching videos of a band I’ve been following for a while – The Smoke Fairies. The duo are Katherine Blamire and Jessica Davies. I love their folky, bluesy, kind of PJ Harvey-ish music built around simple but brilliant guitar parts with stunning vocal harmonies. Early in 2013 they released a limited edition 7″ vinyl single The Water Waits taken from a recording session recorded back in 2011. At the time the band were touring in the US with Blitzen Trappen and they recorded a session upstairs at the United Pressing Plant, Nashville. It seems they press the vinyl records downstairs and have a suite of rooms upstairs that have been used by recording artists for more than 50 years. The “Upstairs” series are all analogue recording sessions – recorded to quarter inch tape and then released as vinyl records. 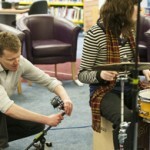 The video I watched was shot by Luke Norby from the Blitzen Trappen crew and shows members of the band learning songs in the session to provide drums, bass and keys behind the duo as they perform six songs. I have a background in analogue tape based recording – mostly in radio and to a lesser extent in music. The site of the vintage console and the spools of tapes spinning had me hooked: the whole session is recorded using vintage analogue mics and equipment provided by Chris Mara from the “Welcome to 1979″ recording studio in Nashville. It’s a while since any band I’ve been in has had to record a song and nail it in a couple of takes with no overdubs allowed (the recording goes straight to quarter inch 2 track stereo tape) So I appreciated watching these musicians working through a long session to get the songs down. On the one hand I had my musician head on – appreciating the hard work and the rewards of the players. On the other hand my studio engineer head was in gear – interested to note for example, an EV RE20 as an over-head on the drums, the amps out in the corridor with the mics on them, the vintage console – the tapes running at what looks like 15 ips – you have no idea how fascinating all of that is! But more than the tape and the vintage console – what really caught my eye was the mic Chris used for recording the vocals. Katherine and Jessica sing together most of the time and have a great musical chemistry so it makes sense to put them head to head on a mic that does a figure of eight configuration. It’s a well established old school recording technique. Engineer Chris Mara could have used one of his U87’s but instead goes for a real vintage looking silver mic – but what was it? I was intrigued – It was a massive silver metal object like one of those old school radio mics from the 30’s and 40’s that you might see in old black and white news reels. Actually some research revealed to me that the mic in question is exactly that – it’s an RCA 44 velocity mic, or ribbon mic and it was widely used in broadcasting the 1930’s and for many years thereafter. I guess these days you might not want to use it for a contemporary pop recording – nevertheless there are quite a few rock artists who rave about the modern recreation of this beast from the past (now available as the AEA R44) which is hand made and comes with a price tag to match. Ribbon mics are favoured by many engineers for stringed instruments as well as voices and you can use them for percussion and brass too. And because it was designed to be used for musical ensembles as well as in radio broadcasts you don’t have to be right on top of it to sound great. 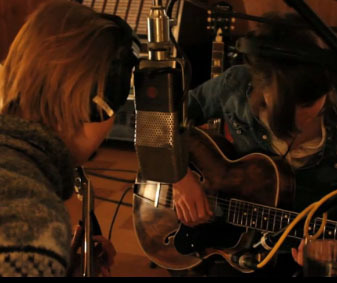 Jessica and Katherine in the Smoke Fairies sessions are around a foot away and it sounds fabulous. I did some more on-line research on the RCA 44 (in the process discovering the Coles 4038 BBC ribbon – subject for another post perhaps). I’d love to get my hands on an original RCA44 – or maybe the AEA R44 – but at the moment their price range puts them into the major investment category (about £3780 for the AEA) still – nice to have something to aspire to. The Coles 4038 on the other hand – while still pretty pricey – is perhaps more within reach and with a great BBC broadcast pedigree may be one to consider for future spoken word work. 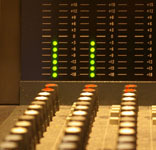 The dVoiceBox studio has been in existence for a few years. As I’ve explained on the “about” page the studio specialises in spoken word projects. This is because the studio is ideal for this kind of work. I started off recording bands but the set up isn’t very good for bands and in Leamington there are loads of other studios that are far better set up for band recording. I’ve been a voiceover artist for much longer than I’ve run my studio and I know from first hand experience that although all studios offer to record voiceovers some are rather better at it than others. Voice work is an extra service that other most other studios offer, in addition to their main work which is recording music. At dVoiceBox we only do voiceover, vocalist and spoken word projects – voices are what we focus on. I recently decided that the studio website needed to be updated – it had served pretty well but what had looked great a few years ago was starting to look tired. I also wanted to have a website that performed better in SEO which these days seems to mean using a platform like Word Press. In addition my analytics were showing that more and more people were searching on mobile devices – so I wanted a site that worked well for those people too. I’ve recently worked with web designer Duncan Arrow on a project to set up a fans only website for the band Firedaze so he seemed the logical person to bring in on the project. He’d recently created his own WP theme which we’d used on the Firedaze project now he was keen to hone it’s functionality further. I briefed him on the look of the site – which I wanted to echo my main Chris Radley Voice Over site – and so he created the structure and the look and I wrote the content. It’s still work in progress – but these day’s all websites are – For example I’ve still got to upload some audio examples of clients’ work and, up until just now, I still needed to write a first post for this blog. So now I’ve got that box ticked. I hope to write regularly here. I’d found on my Voice Over blog that I was sometimes getting into the more technical aspects of the best mics to use and reviewing new equipment. A studio blog seems a more logical place for that kind of content. Plus I hope to add some info and advice to help people starting out in the world of Voiceover.